The week just past, I had some visitors from home, and I got to play tourist in London. Mom and Dad showed up last Saturday, and were with me for the week. It ended up being a very fun week – for me anyway. Hopefully they had a good time as well. The weather was not bad – pretty typical British fall – mostly overcast with the odd hint of sunshine, and a smattering of rain. Could have been worse; haven’t seen much better so far this “summer”. The problem with coming from Canada to London is that you leave in the evening, and show up in the middle of the day here. If you’re like me, and normally can’t sleep on airplanes, that can mess with your system. So you need to try and stay awake until a “normal” time to go to bed. We got back from the airport to my place a little after lunch. In order to keep everyone moving (myself included; I had flown back from Vancouver Friday morning) we went for a walk down the South Bank. It was a nice walk, and we ended up at Borough Market, London’s premiere food market. We wandered around a bit, I picked up some food, and Mom and Dad got to witness the controlled chaos. After the market, we stopped at a local pub for a drink, before heading home. It was a pretty early night. Sunday was a pretty miserable day, so we decided on indoor events. Specifically, we started with a trip to the British Museum, one of London’s biggest attractions. The British Museum is huge – you couldn’t even begin to try and do it all in one day. So Mom and Dad picked a few points of interest, and I supplemented it with some of the “must see” things like the Rosetta Stone and the Parthenon Marbles. After the museum, we wandered around the market at Covent Garden, and had some dinner. 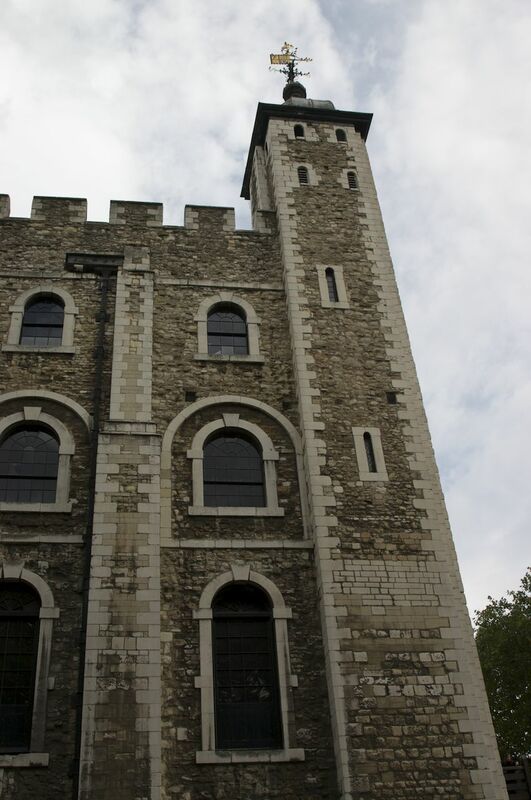 Monday started off looking pretty nice, so we headed to the Tower of London. 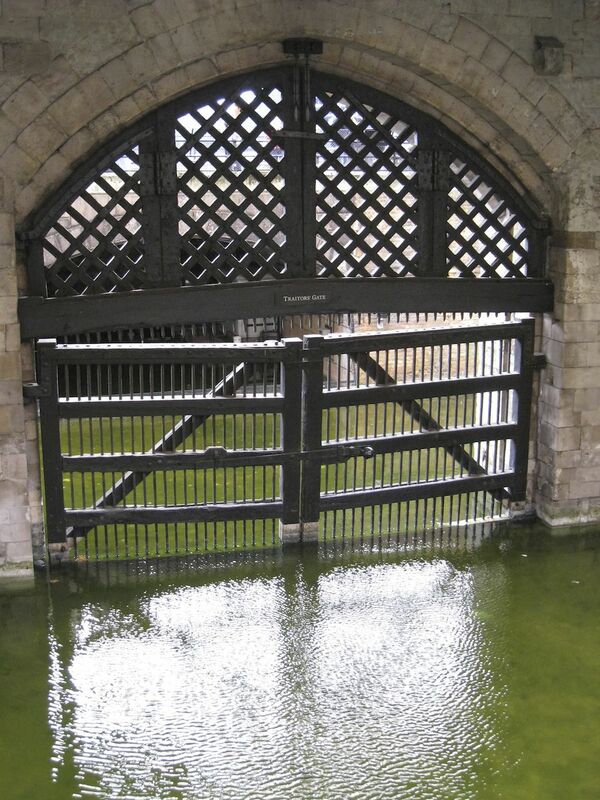 The first time I ever came to London, I came to the Tower as I was told it was a “must see”. The lines that day were outrageous, and I couldn't deal with it. Having been in London for six months (on top of many return visits since), I still hadn't seen the place, and I was interested to see if it lived up to the hype. We got there reasonably early, and the lines weren't too bad. I had been told by many people that the “Beefeater” tours were really good, and that you had to do one as part of the experience. One was starting pretty much as we entered, so we joined the crowd that was forming. I have to say, my sources were correct. The tour was excellent! The guy giving it was very engaging, a lot of fun, and provided a huge amount of information about the site, and its history. It was a great overview prior to wandering around the place on our own. After the tour was over, we wandered around, checking out all the various parts of the castle. 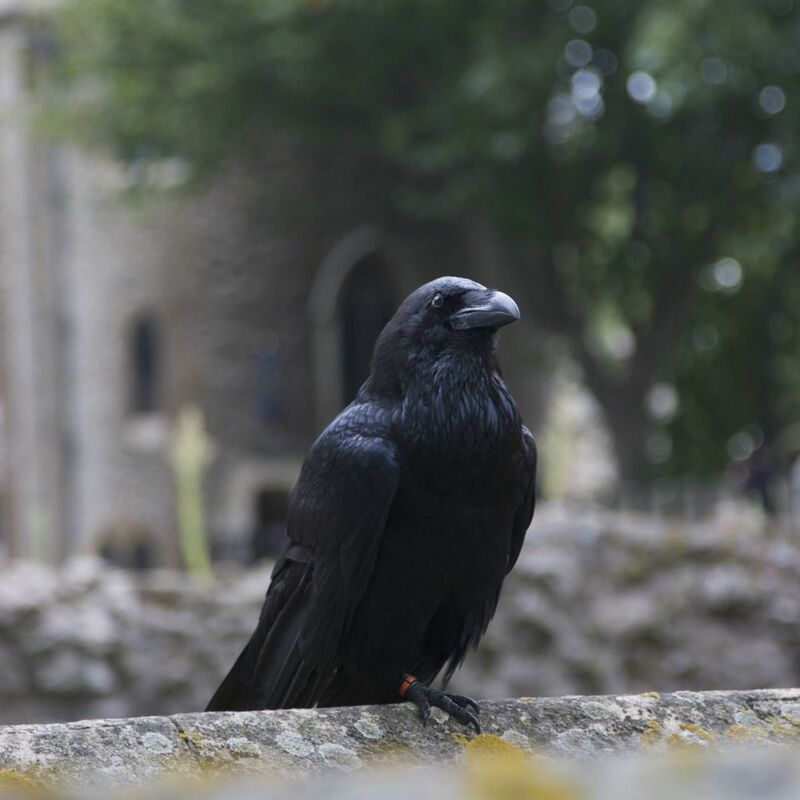 We hit all the usual suspects – the Crown Jewels, the Armory, the Traitors Gate and the Ravens – as well as the less known (to me anyway) parts of the place. It ended up being a very full day – we were at the Tower for the whole day, which surprised me. I have to say, it lived up to the reputation. Tuesday I needed to stick around the house and actually get some work done. Mom and Dad headed out on one of the "Big Bus" tours for a drive around the city. It was pretty good, it seems. Wednesday was supposed to be nice and clear, so we headed out of town on the train. We had a great plan to hit Salisbury in the morning to see the Cathedral, the head over to Stonehenge, back to Salisbury for lunch then on to Bath for the afternoon. Well that was the plan anyway. We got most of it, but not quite everything. This trip also addressed one of Mom’s goals of seeing some of the English countryside that I have apparently written nice things about. We managed to get our act together early and get the first train to Salisbury. That put us into Salisbury around 8:30 or 9:00. The town was pretty quiet, first thing on a mid-week morning. Salisbury is a very pretty little town (OK, it has a Cathedral, so it’s a city technically, but it feels like a small town), with the Avon River flowing through the centre of town, and its old town centre. We walked from the train station into town, then over to the Cathedral. 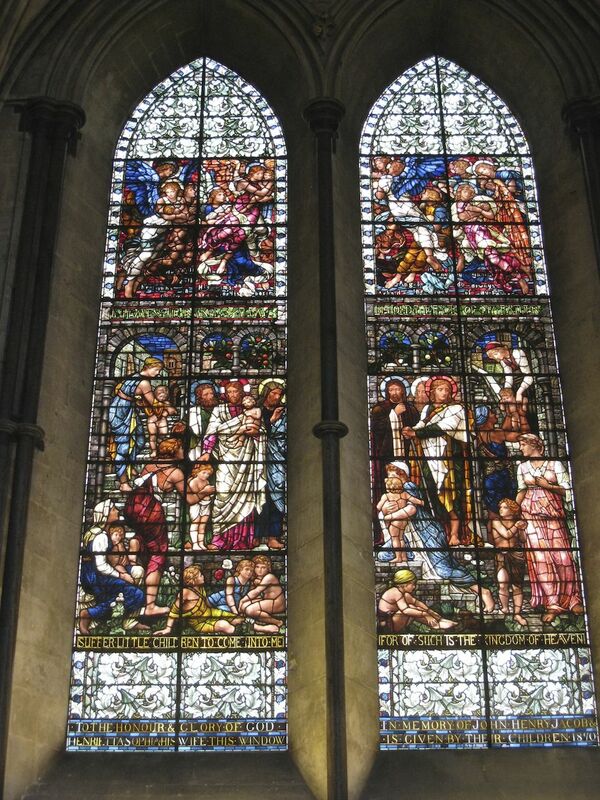 The Cathedral is amazing – the tallest spire in England (still), and celebrating its 750 anniversary this year. That’s still something I just can’t come to grips with. Of course, the outside was under restoration – like everything I visit – but is was still amazing to see. The inside was breath-taking: the decoration throughout the church was stunning. The highlight for me was their piece of the Magna Carta, which is the best preserved of the four remaining copies. That was very cool to see. After spending a few hours in the Cathedral, we headed into the centre of town to the bus station where we caught a bus out to Stonehenge. 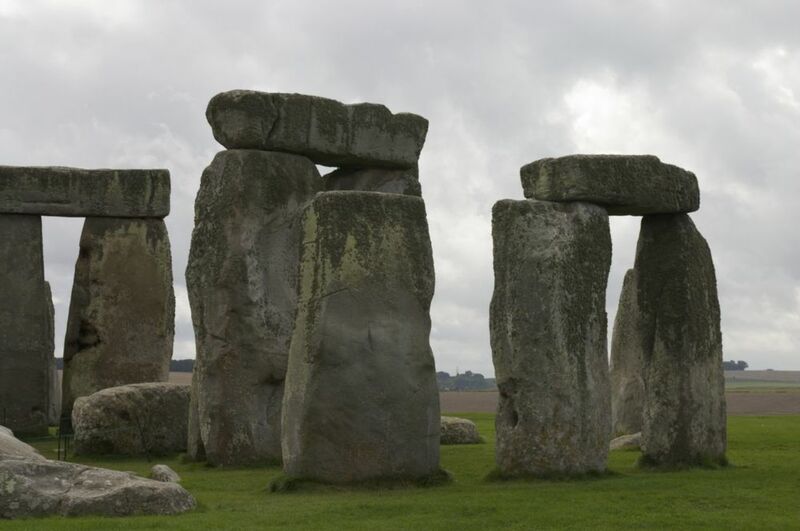 Now I’ve been to Stonehenge before, and it was one of the most amazing moments I’ve experienced. That was a little more up-close-and-personal than we experienced this time, but regardless, it’s an amazing place. It was a pretty cold, blustery day by the time we got there – fitting for the location really. We had a good hour to wander around, and get a feel for the place. I really enjoyed being out there again, and took a huge number of pictures. Hopefully I’ll get some of them up here again one of these days. The bus dropped us off back in town, where we had some launch at the original pub in town, the Haunch of Venison. It’s a very cool old pub with small, crooked little rooms, a pewter bar and a mummified hand in one of the walls. And a ghost, according to local legend. It made for a fun lunch. After lunch we headed back to the train station, and got on a train to Bath. Or so we thought. About half way we were asked to leave the train, as it could go no further on the line due to a fire. After an hour or so of bad information from the local train staff, we decided to skip Bath (it would have been too late by the time we got there) and head back to London. It was a shame really, as I really liked Bath the last time I was there. Thursday was back to more of London’s finest attractions. We started early again, with a trip to St. Paul's Cathedral. A cathedral has stood at this location since the middle ages, but Wren’s masterpiece is only 300 odd year’s old. 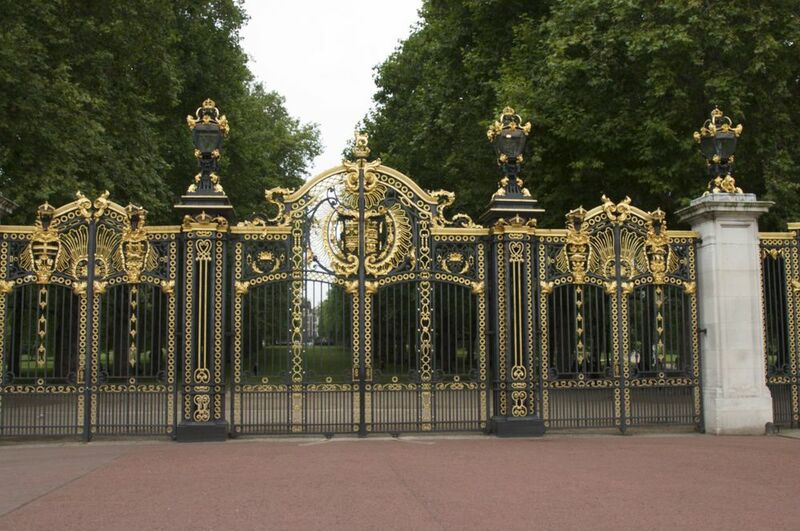 This was another of London’s big attractions that I had skipped along the way. And what a shame. The place is amazing. I was a little skeptical (yes me, if you can believe it…) of the Whispering Gallery, but Dad certainly proved out the acoustics while we were there. It was pretty cool, seeing him talk into the wall on the other side of this huge, round room, and be able to hear what he was saying as if he were sitting beside you. The crypts were also something amazing to see. Sadly, it was raining while we were there, so the view from the top was marred by the lack of visibility. 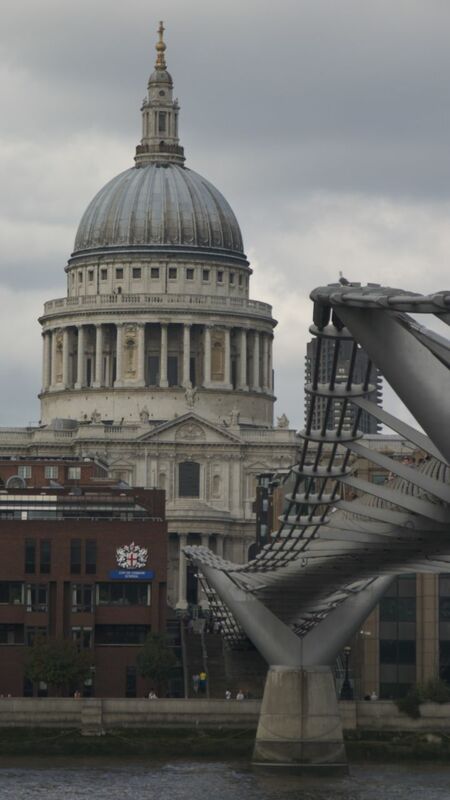 I will have to go back to St. Paul’s one day when the sun is shining, to have another look. After St. Paul’s, we wandered across the Millennium Bridge to do a tour of the Globe Theatre. We arrived just in time for the last theatre tour of the day, so our timing was good. Again, we had another excellent guide who really made the most of the presentation. We had a bit of a break for lunch at the Founder’s Arms pub, and then finished off our walk around Shakespeare’s Globe. We also did a quick walk over to the site of the original Globe, where there is… a plaque. Rather than walking back home, we hopped on one of the commuter ferries, and took a boat. I will have to do that again, as it was quick and pretty cheap. After our river cruise, we rested at home for a bit, while I tried to figure out where to have dinner. I decided to go to the east side of London, and have dinner at one of the restaurants at Spittafield’s Market. That ended up being a bit of a stroke of genius on my part, as that dinner ended up as our best of the week. In addition to excellent food, we lucked out with a very entertaining musical/dance performance going on just outside our patio. It provided a very festive atmosphere that lasted through our entire meal. After dinner, we wandered a couple of blocks down the street for a nightcap at the Ten Bells pub. The Ten Bells is famous (infamous) as one of the places where Jack the Ripper is thought to have hunted his victims. It’s an old pub, and still pretty fun. Friday morning Mom and Dad headed off for a walk around the Royal Parks while I did some work. 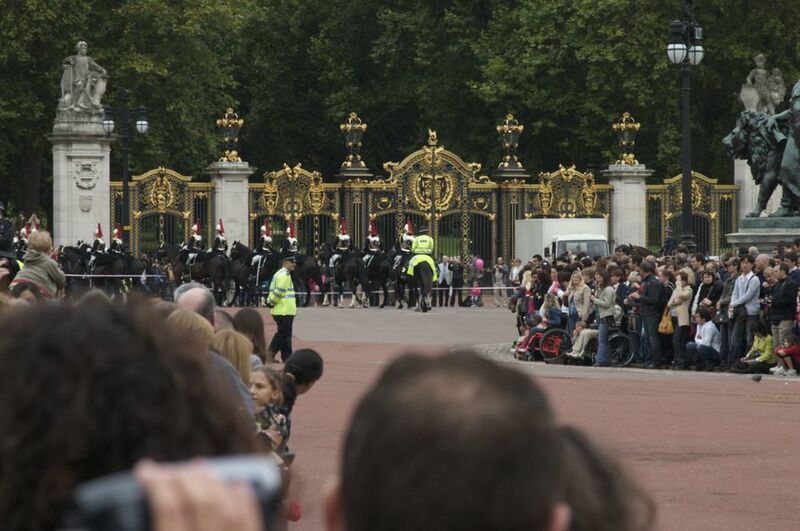 We had agreed to meet at Buckingham Palace for the Changing of the Guard. Again, easier said than done. I couldn't believe the people that were there! The crowd was big – I’d hate to see what the summer must be like. The event itself was OK – I won't be going back again – and I'm glad to say that I've seen it. After finally meeting up and getting away from the crowds, we hopped back on the Tube and went out to Harrods. Mom wanted to do some shopping. An hour of that was enough for all of us, so we hit a pub. Then it was off to Oxford Street, and the toy store Hamleys in specific. After a bit more retail therapy, we headed back home. It was a pretty nice afternoon, and the lines were not too long, so we went up on the London Eye. It was another London attraction for me and well worth going up. The views were great. We had dinner close to home, and called it a night. All-in-all, it was a very fun week. I got to see Mom and Dad and I also got to do all kinds of touristy stuff that I hadn't yet got to. It was a true win-win. After dropping them at the train station, I headed back home to crash out for a bit. I was exhausted! Around noon, I headed back out and down to my local pub for the big game - Liverpool vs. Manchester United. It started badly, but the good guys came on strong in the second half and pulled out the win. Final score Liverpool 2, Man U 1. It was an excellent start to the weekend! This weekend was also the South Bank Festival - food, entertainment, market stalls stretched from my place down along the river bank to Tower Bridge. It was excellent. Insanely busy - you could hardly move in places - but a lot of fun. I wandered most of the afternoon, then went home and got caught up on some work. Sunday, was the nicest summer day we’ve had all year I think. It was beautiful, but I couldn’t deal with another day at the Festival. Too many people. So I went a bit out of town and spent the day golfing. First time in ages. I got home late, and happily exhausted. Just in time for the most amazing fireworks display that I didn't even have to leave my flat for.